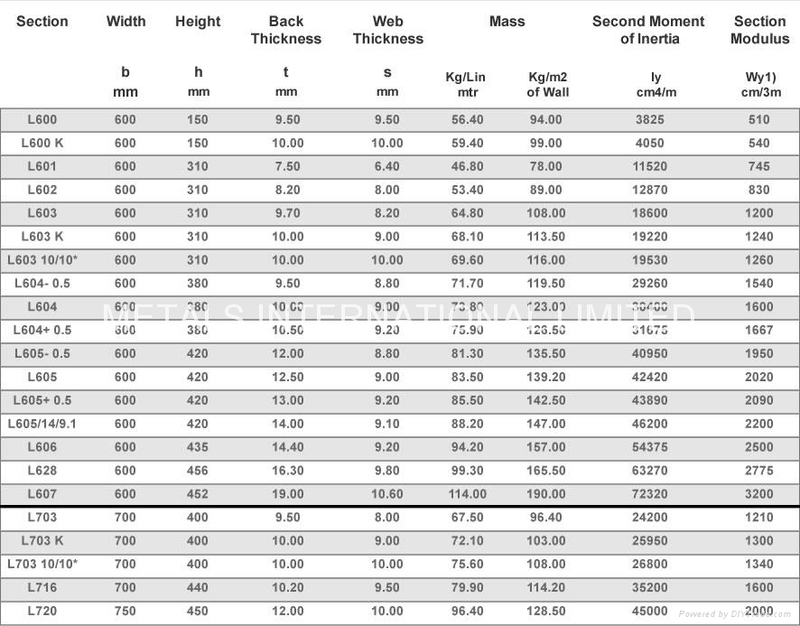 Specifications︰ Sheet piles, also known as U-type sheet piles or Larssen Sheet Piles are widely used in construction. They can be used in permanent or temporary applications. 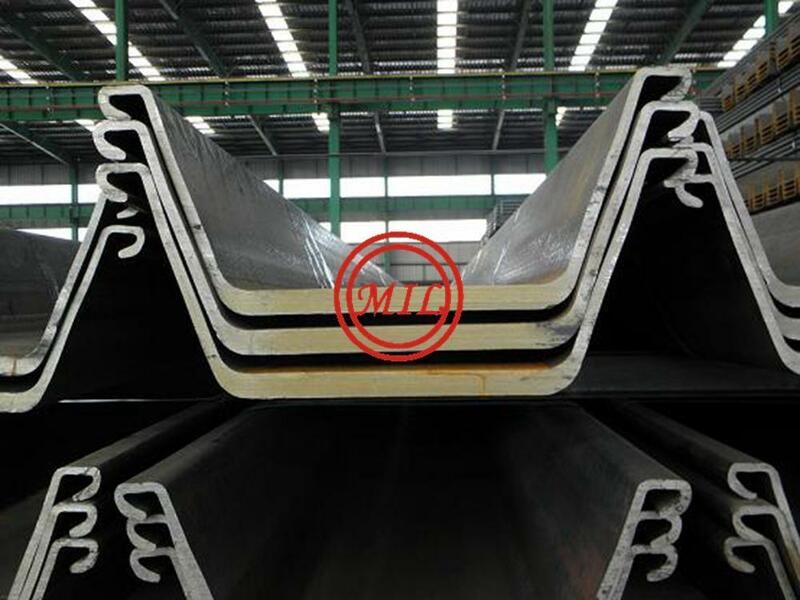 Hot rolled sheet piles are produced to EN 10248, JIS A5523 and JIS A5528 standards. 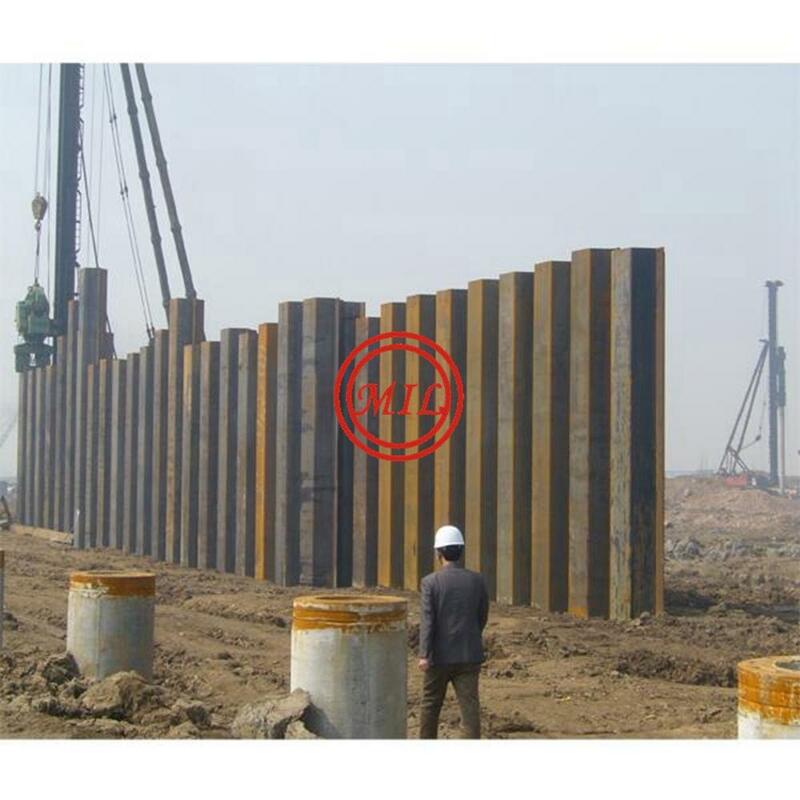 Edgen Murray sheet piles are produced in accordance with design code EN 1993-5:2007 and the manufacturing standard EN 10249 parts 1 &2. We comply with the structural steel welding requirements of AS/NZS 1554.1 2004. EN 10248 S270GP & S355GP. Z profile sheet piles are called Z's, because the single piles are shaped roughly like a horizontally stretched Z. 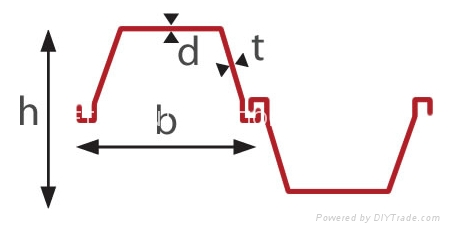 Z profiles are continuous through the web providing full shear transmission between compression and tension faces of the wall. Interlocks are located symmetrically on both sides as far away from the neutral axis as possible, providing efficient use of material and creating a positive influence on the section modulus. Z profiles are traditionally driven as double piles facilitating a greater wall coverage per pitch and drive. 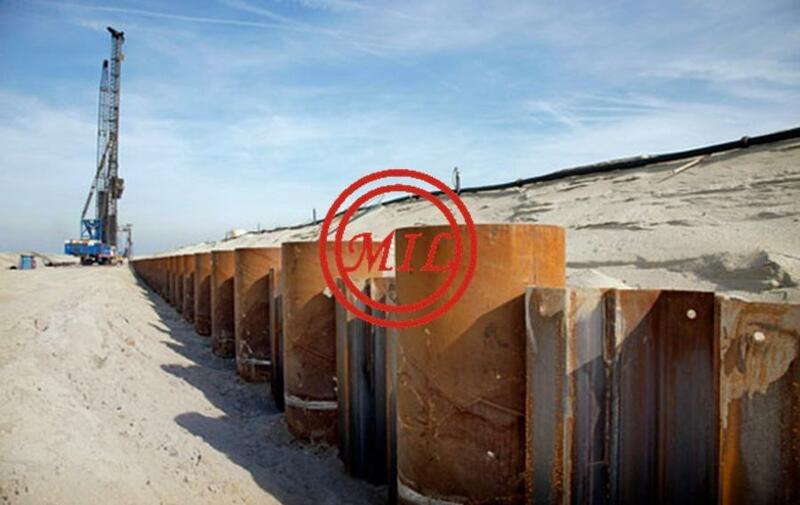 Our Z Section Sheet Piles are manufactured from high quality steel and certified to DIN EN ISO 9001:2008. Sheets are supplied in High Yield Grade S355 as standard or up to S490 GP if required. 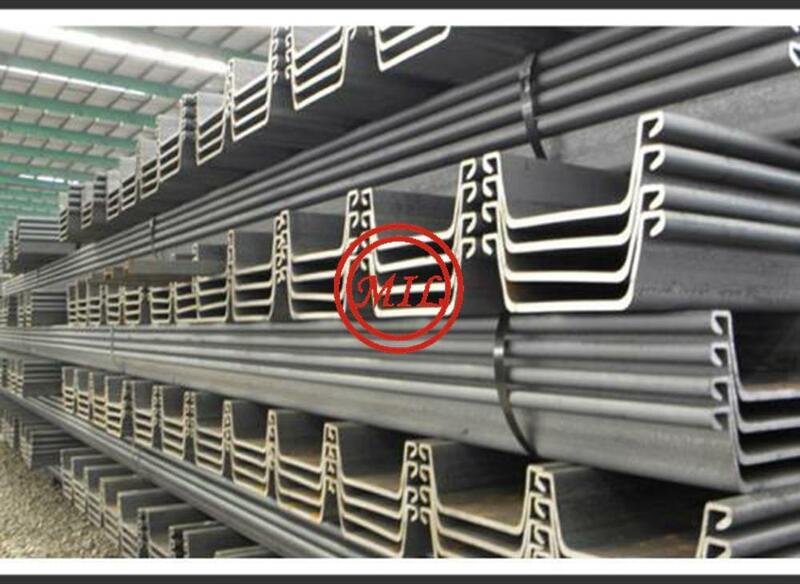 Steel provides Hot Rolled AZ sheet piles and Cold Formed OZ / PAZ sheet piles from China Mills. The Hot Rolled AZ range of sheet piles is the most advanced in the world. ArcelorMittal introduced the AZ profile in 1990 and is committed to continuously improving the sections through ongoing, aggressive research. The AZ's now cover the widest range of strengths representing the strongest, most efficient sheet piles in the industry. Steel sheet piles are long structural sections with interlocking connections, driven into the ground with impact or vibratory hammers to form an impermeable barrier. 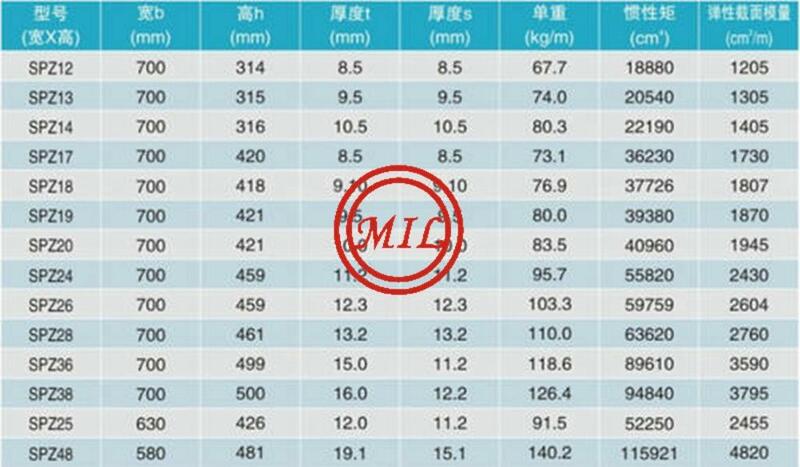 They could be rolled in both Hot Rolled (JIS or Larssen Type) and Cold Formed (MMU and MMZ) manner and may be in shapes of Z or U in different sizes and weights. Functionality, appearance and cost-effectiveness are the criteria currently applied when selecting construction materials. 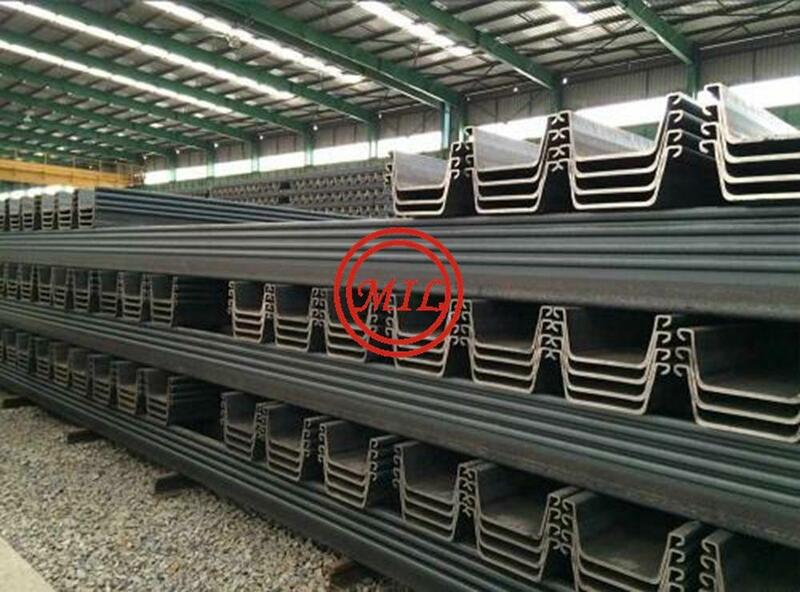 Steel sheet piling meets all three: the prefabricated elements allow simple and economic construction, satisfy all requirements for structural safety and protection of the environment and the finished article is appealing to the eye. Sheet Pile when used as a retaining wall element provides an fast and economical way of constructing a retaining wall especially for water-fronting projects. Its interlocking elements provides watertight lock in retaining earth behind it and hence a suitable solution when building ports, wharf, deepening of rivers, bridges and basement excavations. To prevent corrosion, we provide Epoxy coating which can protect sheet piles even in harsh conditions such as salt water. The constantly growing demand for large, capable container vessels has led to a need for larger ports built of durable, long-lasting and cost-efficient materials. 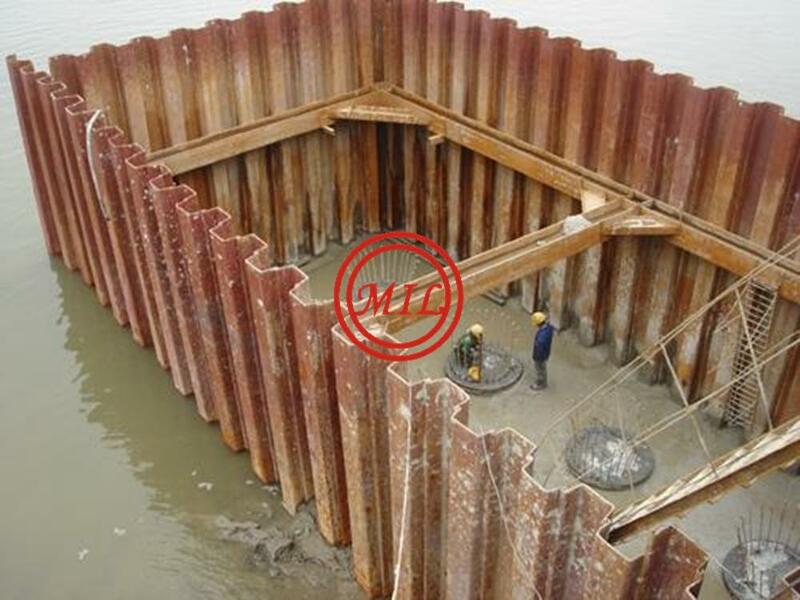 Cofferdams are highly useful and commonly implemented in construction situations in which the structure in progress must be built in an area partially or completely covered by a body of water. The name of this type of dam is derived from the word "coffer," which refers to a sealed box. Common uses for a cofferdam include the safe and efficient construction of piers, bridges and other structures that must be built in standing water. Henan Supioneer Metal Materials Co., Ltd. Millions of miles of highway and hundreds of thousands of bridges comprise the primary transportation system of North America. This constantly evolving infrastructure requires the use of advanced technology and structural versatility in order to continue functioning at its optimal level. Steel pile retaining wall systems are available to aid commercial organizations from across North America in their efforts to apply slope stabilization techniques before major foundation damage can occur. Retaining wall systems manufactured with high-grade, low permeability steel piling help to prevent erosion caused by excess water run-off, flash flooding and gradual erosion caused by exposure to frequent and heavy rain. Over decades of environmental research regarding ground water and waste containment, commercial remediation engineers have developed a variety of methods of preventing the permeation of pollutants on the subsurface level. The most effective, environmentally safe and cost-efficient option involves the use of interlocking sheet pile barriers, rather than more expensive and invasive methods such as slurry wall containment and drilling. BS 5950：2001	Structural use of Steelwork in building. 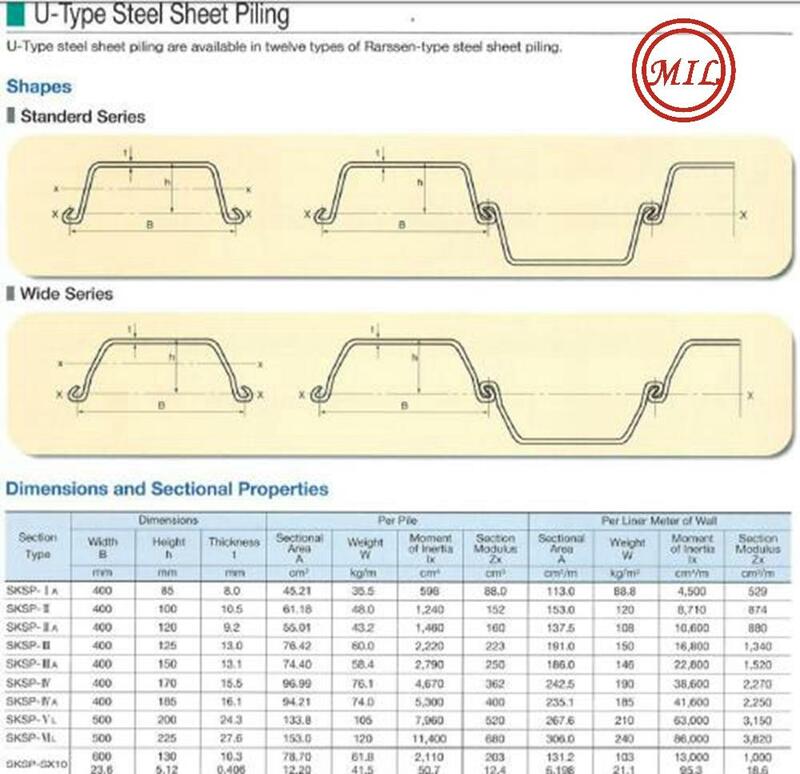 BS EN 1993 - 5：2007	Design of steel structures - Part 5：Piling. of non - alloy and fine grain steel. 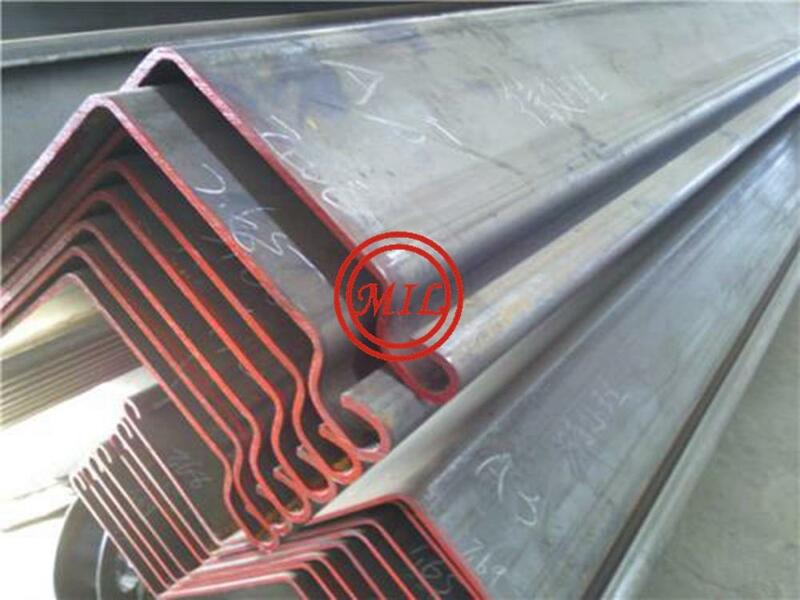 BS EN 10248 - 1&2：1996	Hot rolled sheet piling of non alloy steels. 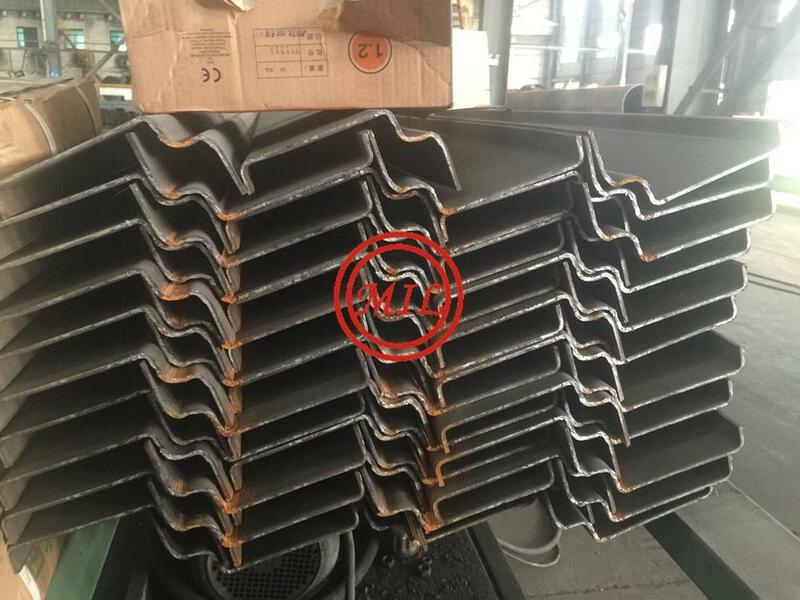 BS EN 10249 - 1&2：1996	Cold formed sheet piling of non alloy steels. BS EN 287 - 1：2004	Recommendations for welding of metallic materials.General guidance for arc welding. Qualification test of welders. Fusion welding. BS EN 970：1997	Non - destructive examination of fusion welds. BS EN 1435：1997 Non - destructive examination of welded joints -Radiographic examination of welded joints. ISO 8501：1995	Preparation of steel substrates before application of paints and related products. ISO 8503：1988 ISO 12944：1998 Paints and varnishes - Corrosion protection of steel structures by protective paint systems.